Facebook has been prevented from making use of UK citizens’ WhatsApp data for purposes beyond the chat app itself. The firm had announced in 2016 that it intended to tap into its subsidiary’s records to give better friend suggestions and show more relevant ads. This is a reference to the forthcoming General Data Protection Regulation (GDPR), which comes into force on 25 May. At present, Facebook refuses to share so-called “shadow profile” information it has gathered about people via their friends and acquaintances. It told the Gizmodo news site last year that it thought this would amount to a privacy violation of those who had provided the data. Since then, the firm has given a commitment to make changes to obey the new rules. 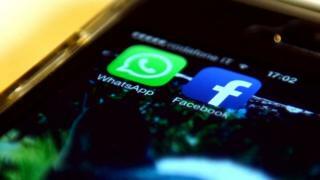 The information commissioner, Elizabeth Denham, noted that a German court had confirmed the country’s own data-sharing ban with regard to WhatsApp and Facebook earlier this month. In addition, she highlighted that the ICO’s French equivalent was also in the process of bringing its own enforcement action against the company. “I would like to stress that signing an undertaking is not the end of the story,” she added.